When Apple started dreaming up a smartwatch in 2011, it didn’t know exactly why people would need such a thing. The actual problem that the Apple Watch will try to solve—saving us from staring at our phones all the time—was determined later in the development process, according to an exclusive Wired story that interviews key Apple personnel. 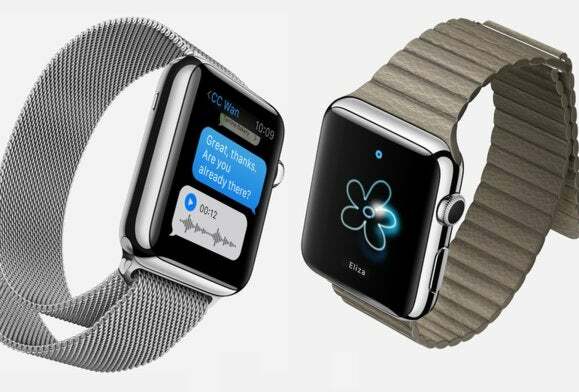 The story points out that Jony Ive, Apple’s senior vice president of design, first thought about a watch in October 2011, after Steve Jobs died. He then took the idea to Alan Dye, head of Apple’s human interface group, along with others in the company’s design studio, which at the time was designing iOS 7. It’s critical to note this epiphany came long before Apple actually designed the Watch hardware. Apple’s first working prototype involved an iPhone strapped to the wrist by Velcro, with a custom watch crown plugged into the bottom. It was on this crude device that Apple started hashing out core concepts, like offering contextual auto-responses to messages that can be sent out in seconds. The Wired story also reports that Apple considered a “timeline” that lays out notifications in chronological order, but ditched it for a layered system of notifications, “glances” and full-blown apps. Why this matters: Apple was once famous for its secrecy, but the Wired piece shows how the post-Jobs Apple is much more open to pulling back the curtain as it hypes its next big product. The story is an interesting and rare look at Apple’s design approach, and it shows that Apple products don’t always begin with exercises geared toward solving a particular problem.